Geneva, 24 November 2017: The countdown to next year’s World Wildlife Day (WWD) kicks off today, 100 days before 3 March 2018. This special day in the UN calendar will be celebrated next year under the theme of big cats. 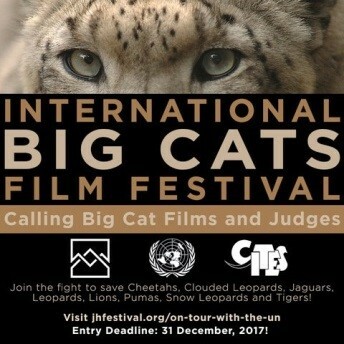 “Big cats: predators under threat” is the slogan announced today by CITES Secretariat, the UN General Assembly designated facilitator of this global event. 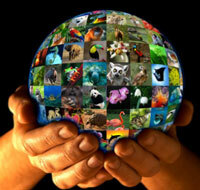 CITES stands for Convention on International Trade in Endangered Species of Wild Fauna and Flora. It was signed in Washington D.C. on 3 March 1973 and entered into force on 1 July 1975. With 183 Parties (182 countries and the European Union), the Convention remains today one of the world's most powerful tools for wildlife conservation. CITES regulates international trade in over 35,000 species of plants and animals, including their parts and derivatives, to ensure their survival in the wild with benefits for the livelihoods of rural communities and the global environment. The CITES permit system seeks to ensure that international trade in listed species is sustainable, legal and traceable.